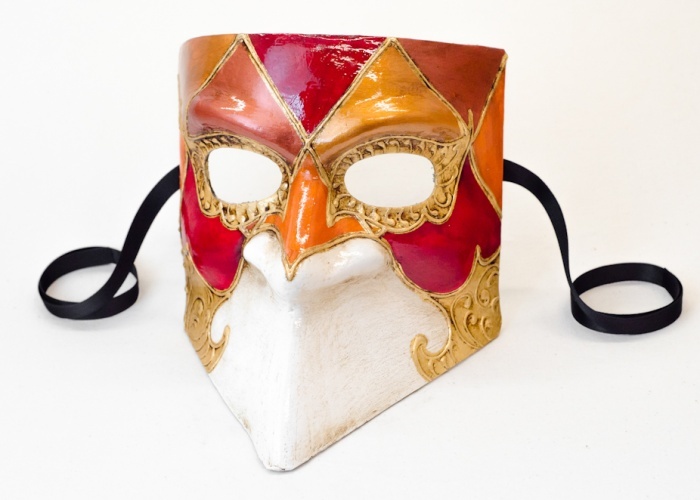 This version of the bauta mask features warm red-orange tones and gold leaf. Around the eyes and in places where the metallic leaf is applied are stucco reliefs in an arabesque style. The mask is handmade from real cartapesta, painted with water-based acrylic, and covered with gold leaf.